Facebook is now the most popular social website on the internet. 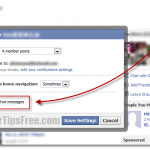 On facebook, you can find and make new friends via the friend searching tool or through your existing friends. This, however, enables people who you do not want to be bothered by to send you their friend requests or look into your profiles. If someone keeps sending you friend request even though you’ve already declined it multiple times, or if you’ve accidentally approved the person’s friend request and want to block that person permanently (or for a while), here’s how you can do it. To quickly block a person, go to the person’s profile page, and then click on the Report/Block this Person link which appears at the bottom left part of the profile page. 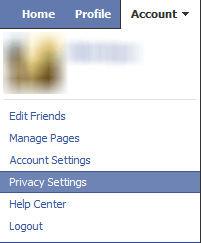 Click on the Account, which appears on the top right corner of your facebook page, and then click on Privacy Settings. Under Block List, click on edit your list link. From there, enter the name or email address of the person you want to block in the respective fields. Once you block someone, that particular person will no longer be your friend on Facebook or interact with you (except, in some rare cases, within applications and games you both use). You can easily unblock someone on Facebook if you made a mistake blocking somebody whom you wish not to block. If you prefer to be more open towards the person, you can unfriend him/her. Although this will somehow notify them that you’ve done so, it’s sometimes better than just blocking a person silently. By blocking a person on Facebook, they won’t be able to see you online but they are still able to send you messages while Facebook will ignore them for you. 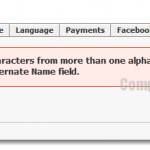 By unfriending a person, you will no longer be appeared on the person’s friend list and therefore there’s no way they can do anything to your Facebook profile without adding you. Well, I would prefer to inform that person and unfriend him/her afterward for at least they know what’s happening. To unfriend someone on Facebook, go to the person’s FB profile page. Click on the Friend button which usually can be found on the right side in the cover photo, and then click Unfriend. 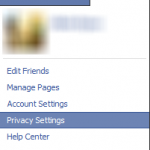 If you are looking to just stop someone’s updates from appearing on your Facebook news feed, while keeping them in your friend list without unfriending them, use the “follow” button. To do this, go to the person’s FB profile page whom you want to unfollow, if the button beside Friend shows Following with a tick, undo then follow by clicking on it once. 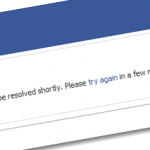 Now you will no longer see any of their updates on your news feed.